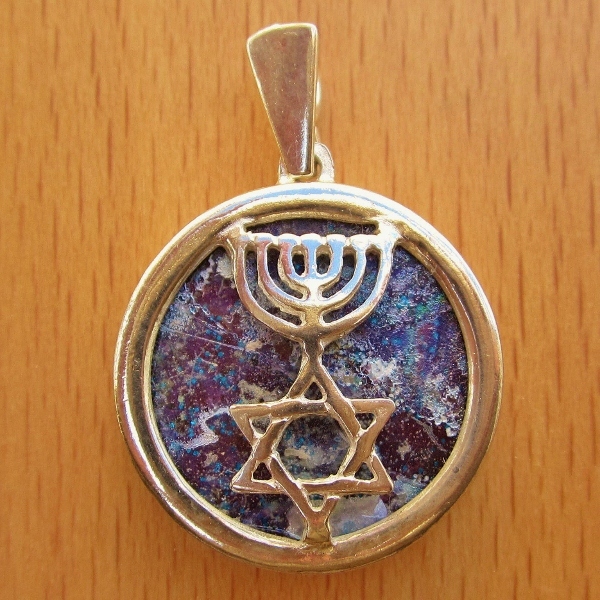 Sterling Silver Star of David & Menorah pendant set with genuine ancient Roman glass from the Holy Land. One of a kind. Comes with a certificate of authenticity.